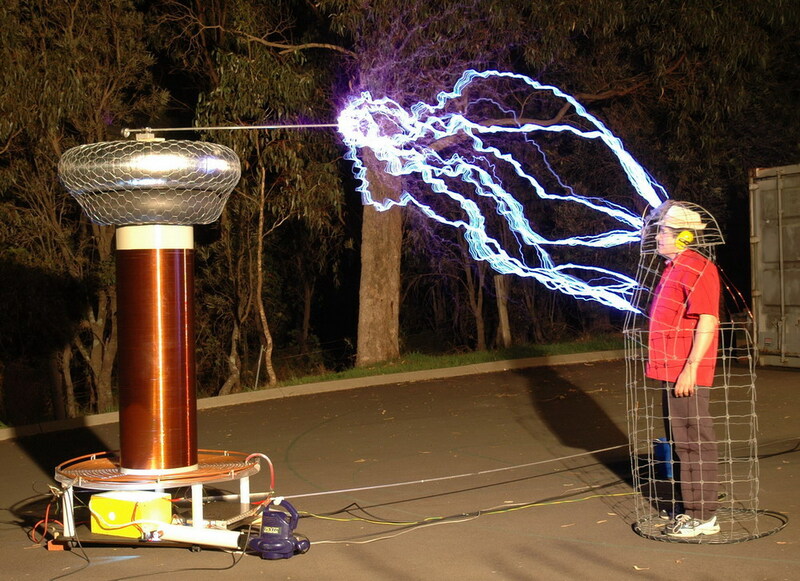 Goodness gracious, this fellow has great faith in his Faraday Cage! This entry was posted in photos, physics. Bookmark the permalink. BHS Physics obviously needs LARGE tesla coils/van der Graff generators and a Fluffy-shaped Faraday cage! !